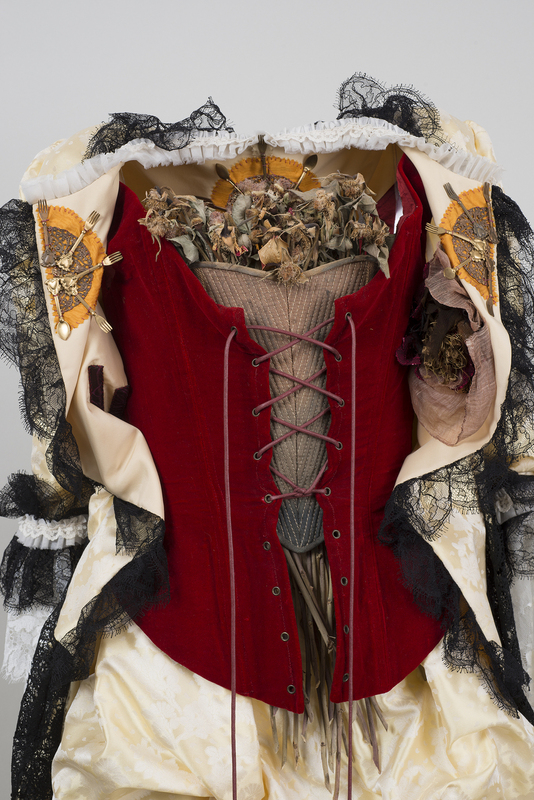 Eliza Jumel was personified by couture artist Camilla Huey among nine women in the life of Aaron Burr. The exhibition and film to preview at the Bard Graduate Center on May 7th and will premiere on May 14th at the Morris-Jumel Mansion. Born in a brothel in Providence, Rhode Island, her mother’s Madame a free black woman, Eliza Bowen grows up in the life. As a girl she does the same time in the workhouse as her mother, sells herbs in the streets and, on coming of sufficient age to join the family business, gives birth to an illegitimate son, George Washington Bowen – who’ll grow up to bear an uncanny resemblance to his namesake. When the seventeen-year old mother leaves her two-month old son behind in Providence, she is illiterate. Upon her reappearance in New York City she both reads and writes in French and English. After a turn running a “boarding house” and another on the stage as a supernumerary, she is reputed to be Manhattan’s greatest beauty. Soon she meets wealthy French merchant Stephen Jumel. Twenty-five years her senior, Jumel’s fortune comes from smuggling fine wines and spirits through Thomas Jefferson’s embargo. Due to somewhat irregular living arrangements in her residence with Jumel they are shunned by New York society. Four years later in a deathbed seduction scene, straight out of a Harlequin romance, they marry. Towards raising their low social standing in 1810, they purchase the Roger Morris estate in Harlem Heights. The Jumels, recognizing the historic importance of the house, restore it to the way it was in 1776, when it served as Washington’s headquarters during the Battle of Harlem Heights. One of the first architectural preservations in the New World, though an admirable effort, is insufficient to redeem the Jumel’s in the eyes of Knickerbocker society. In 1815, the Jumels travel to Paris and are accepted as Bonapartist sympathizers, going so far as to offer Napoleon safe passage to America after his defeat at Waterloo. Her flamboyant lifestyle, opinions and actions while in France prove too controversial, bringing about her arrest in 1816. Escorted by the guard of King Louis XVIII to one of their ships in Rochforte and she is forced to leave the country. Remarkably, she returns to New York with over 200 old master paintings and Stephen’s power of attorney as femme sole. Empowered, she sells off his holdings with the legal assistance of Alexander Hamilton, Jr. She divests all into the name of her adopted niece Mary, with a life estate entitling herself to all the profits and control. Eliza buys and sells properties, tripling a fortune now out of Stephen Jumel’s reach. Left behind in France, physically deteriorating as his fortune declines. The elderly and destitute Jumel returns to New York in 1827, dependent upon what is left of his wife’s compassion. When he dies violently in 1832, Eliza is suspected complicit. Fourteen months after her first husband's death, she marries the controversial former United States Vice President, Aaron Burr. She marries to increase her social stature; he, for access to her fortune. Burr in turn, squanders the money, a poisonous court battle ensues and the two divorce on September 14, 1836, the day of Burr's death. 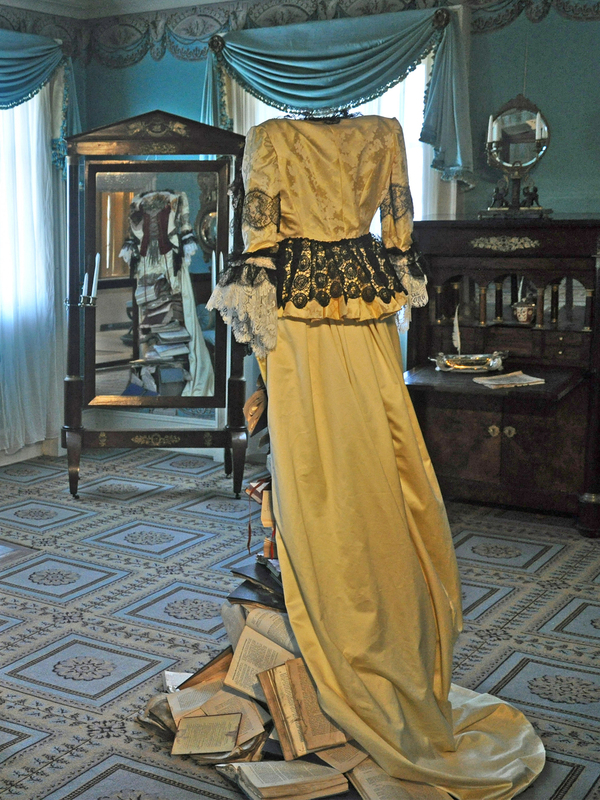 Madame Jumel lives the rest of her life in the Manhattan mansion, earning sufficient reputation as an eccentric to be thought to have inspired Charles Dickens’ Miss Haversham in Great Expectations. 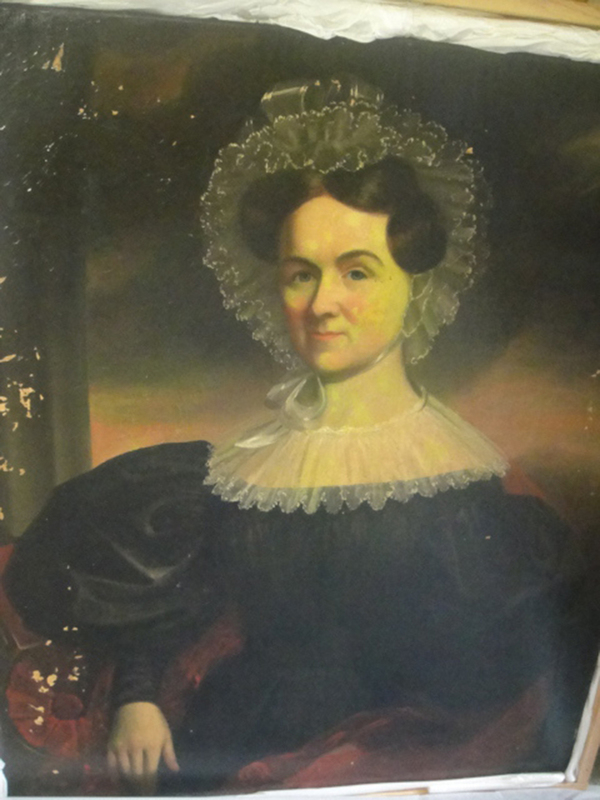 She dies at age 90 in 1865. She was buried in Manhattan at the Trinity Church Cemetery and Mausoleum. Lomask, Milton. Aaron Burr: The Conspiracy & Years of Exile. New York: Farrar Strauss & Giroux, 1979. Isenberg, Nancy. Fallen Founder: The Life of Aaron Burr. New York: Viking, 2007.